Ireland has warned it would officially recognize Palestine as a state should peace talks between Palestinians and Israelis remain at standstill. The EU member’s Foreign Minister Saturday said Dublin is concerned about Palestinians’ plight, which continues because of standoff in the talks between the two sides. 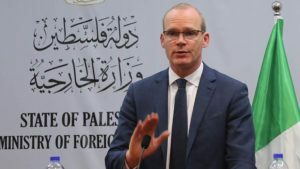 “We have made a choice not to officially recognize the state of Palestine just yet,” said Simon Coveney during a press conference with his Palestinian counterpart, Riyad al-Malki. Spain, according to media reports, could also recognize Palestine as a state. Madrid confirmed last week it was pushing other capitals of the Union to do likewise, Times of Israel reports. Ireland, known as one of the leading western countries attached to the Palestinian cause, was considering convening a gathering of Arab and European leaders to jumpstart peace talks, the Irish Times reported. Conveney also announced that Ireland will significantly increase its contribution from $5 to $8 million, to the UN’s aid agency for Palestinian refugees, UNRWA, following Washington’s $200-million cut. 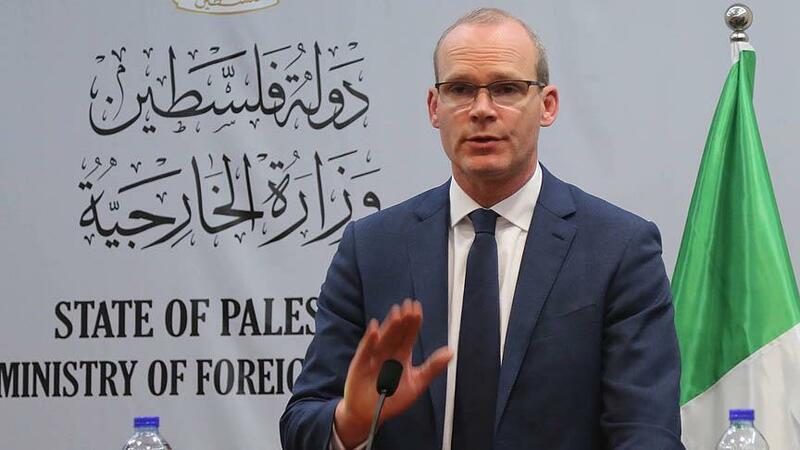 The Irish Foreign Minister voiced concern over the closure of the Palestinian de facto diplomatic mission in Washington this month noting that the move was not a “good idea”. Over 130 member countries of the UN have recognized Palestine as a state. However, world powers like France, the U.S. and the UK have not backed the move. The Palestinians believe France is increasingly considering to do so. “The French certainly care a lot about that issue,” Palestinian leader Mahmoud Abbas told reporters after meeting President Emmanuel Macron on Friday in Paris on his way to the UN General Assembly.